Extra TV points in one or more rooms around your home. If you have an existing TV Aerial it is possible to install additional TV aerial points around your home. It is increasingly popular have TV points in bedrooms your kitchen or conservatory. By installing a distribution amplifier we can install as meany TV points as you require. Please give us a call for your free quote. 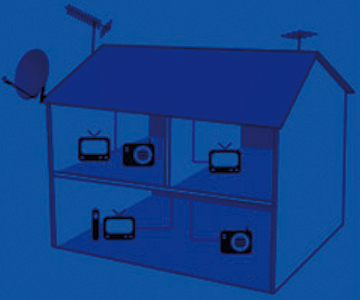 We Offer a Complete Range of Freeview Services "One Stop Shop"